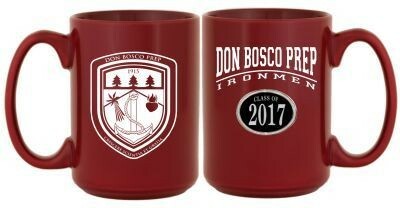 Class of 2017 Medallion Collection El Grande Mug in maroon. This 15 oz. 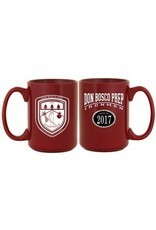 maroon mug has art on both sides of mug with a white crest on one side and Don Bosco Prep Ironmen and Class of 2017 on medallion on the other side of the mug.